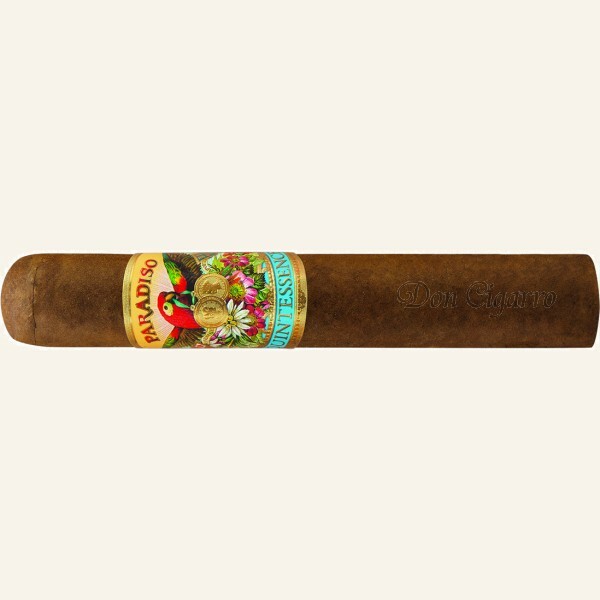 Celebrated cigar-maker Jose “Pepin” Garcia embraces his remarkable talents as a world-class blender with "Paradiso" Quintessence. Drawn from a luscious Ecuador Habano wrapper and the finest, premium aged binder and filler tobaccos grown on the Garcia family estates, Quintessence is patiently rolled in Pepin’s immaculate factory in Estelí, Nicaragua. Captivating notes of molasses, coffee and black pepper intrigue the palate with a placid sweetness. Hints of dried fruit, figs and sugarcane gather in wonderful proportion to culminating spices. Cool, civil aromas emanate throughout a medium to full-bodied finish. 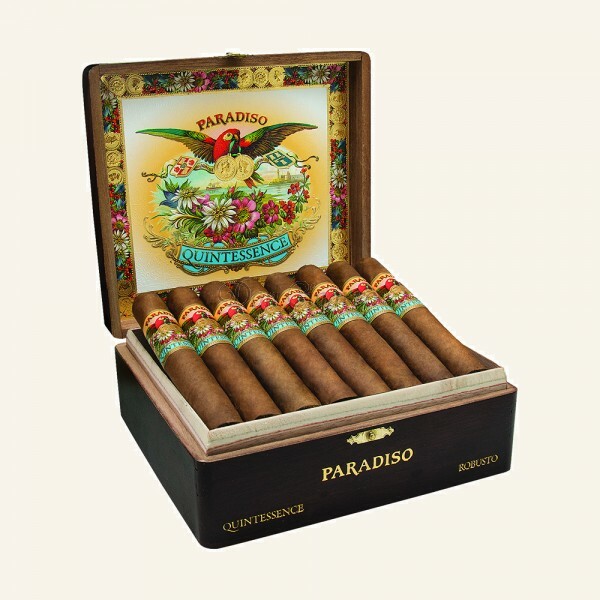 "Paradiso" Quintessence exemplifies Pepin’s rise to prominence with tasteful indulgence.